Shortly after the Civil War, Raymond Wickwire helped his son, Chester, start a grocery store on Main Street in Cortland. After his father’s death, Chester turned it into a hardware store instead. As with most country storekeepers, Chester allowed customers to trade their goods for his products. One such payment would change his life forever. In 1873, Chester acquired a carpet loom from a customer named Rowland Hall. Chester tinkered with the loom, and realized he could make it weave wire instead. Shortly thereafter, Chester’s brother, Theodore, joined him in the business, and they changed the company name to the Wickwire Brothers. By 1876, Chester went solely into wire-weaving. 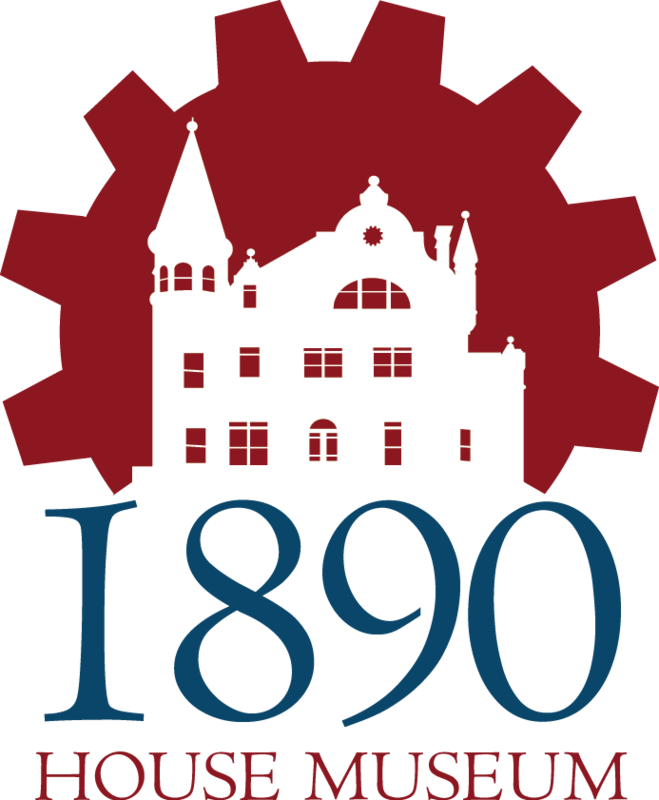 The brothers expanded operations until they had doubled their manufacturing capacity, and in 1881, they moved to a large factory site on South Main Street. 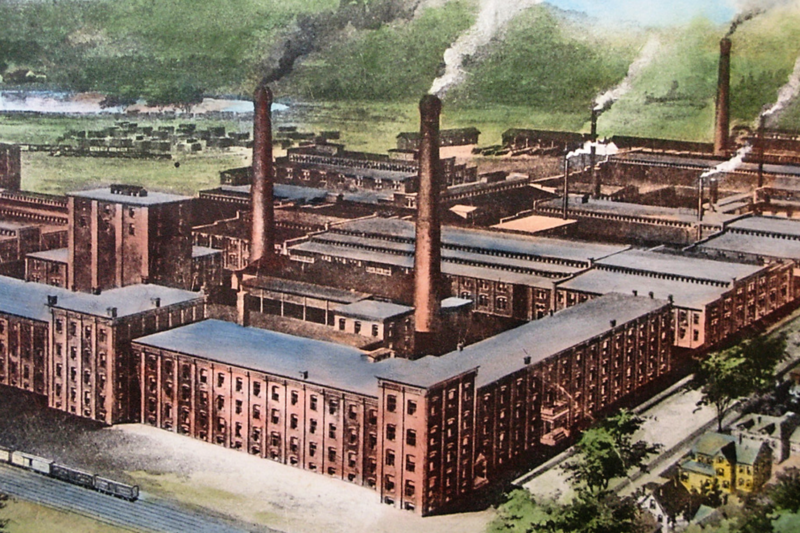 Between 1879 and 1915, the company built at least 11 additions to the Wire Works. The business made them millionaires. By his death in 1910, Chester was worth $1,677,498.12. One factor in the company’s success was the usefulness of its products. Having run a hardware store, Chester knew what people needed. The Wire Works made a variety of goods marketed to farmers, including barbed wire, chicken wire, wire screening, window screens, coal sieves, corn poppers, dish covers, strainers, and horse muzzles. These products remained in demand throughout the company’s existence even though the national farming market declined. The Wire Works even supplied wire for the building of the Panama Canal. Another factor in Chester’s success was his control of patents. By owning the patents on all their machines, the brothers could make their products at a lower price than all American firms. 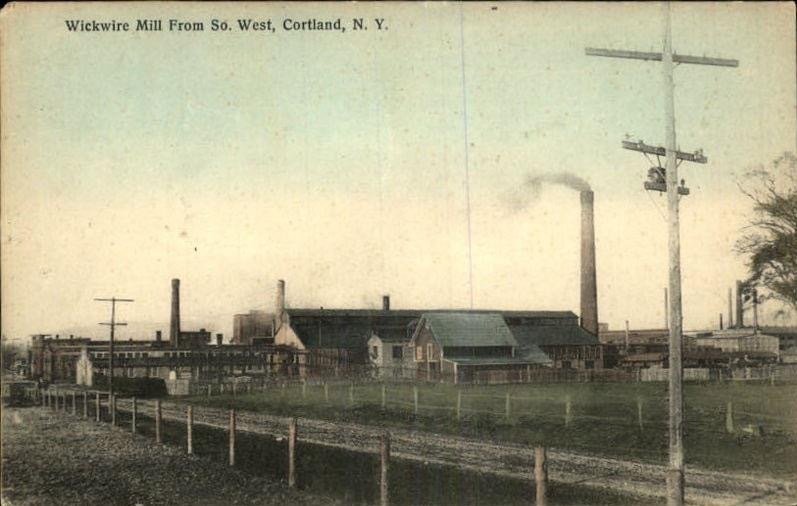 Throughout the 1880s and 1890s, The Wire Works contributed significantly to Cortland’s industrial and economic growth. By 1910, it was the largest employer in town. As one of Cortland’s top employers, Chester and Theodore influenced the ethnic makeup of Cortland’s population, as Germans, Irish, Italians, and Slavs came to their factory seeking a better life. 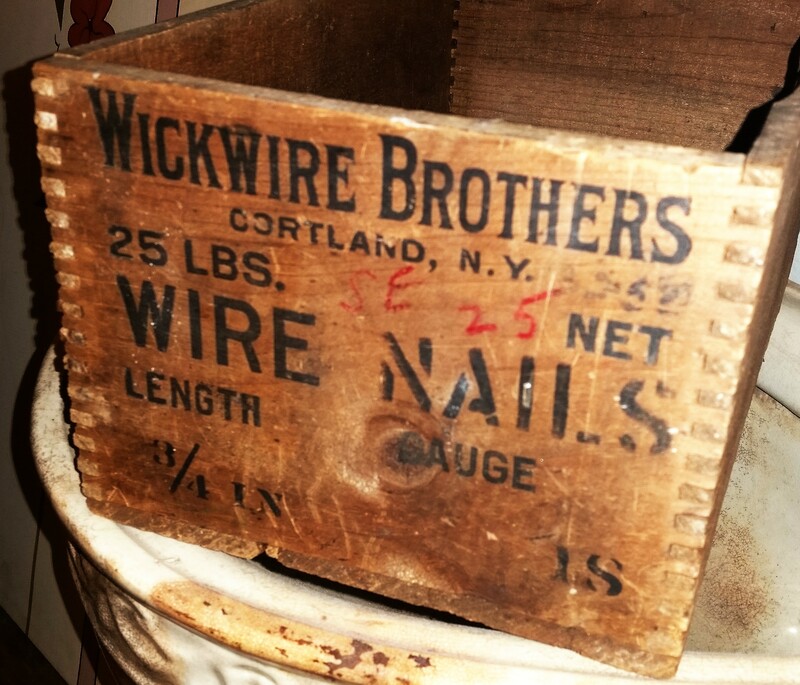 In 1890, the Wickwire Bros. Factory employed 170 men and 35 women. They were the third largest employer in town (after the Cortland Wagon Company and Hitchcock Manufacturing), and the largest employer of women. Chester’s factory workers made $39.50/month in 1890, which is about $1,100/month today. Monthly expenses included rent, trolley fare, a loaf of bread, coffee, newspapers, a haircut, and clothing. Employees performed their work in a production-line style. Weavers tended to looms. Annealers treated finished wire with protective coatings by dipping it in large vats. Other employees transported materials to workers and carried bolts of woven wire to loading docks. Wire Drawers pulled metal rods through a tapered hole in a die. Successive drawings through smaller dies created wire of finer diameters. Weavers tended to looms. Annealers treated finished wire with protective coatings by dipping it in large vats. Other employees transported materials to workers and carried bolts of woven wire to loading docks. Foremen and managers kept the process going. The factory saw seven industrial accidents between 1887 and 1897. In February 1888, a 14 year old boy running a planer at the nearby Cortland Door and Window Screen Co. lost his toes and part of his foot. 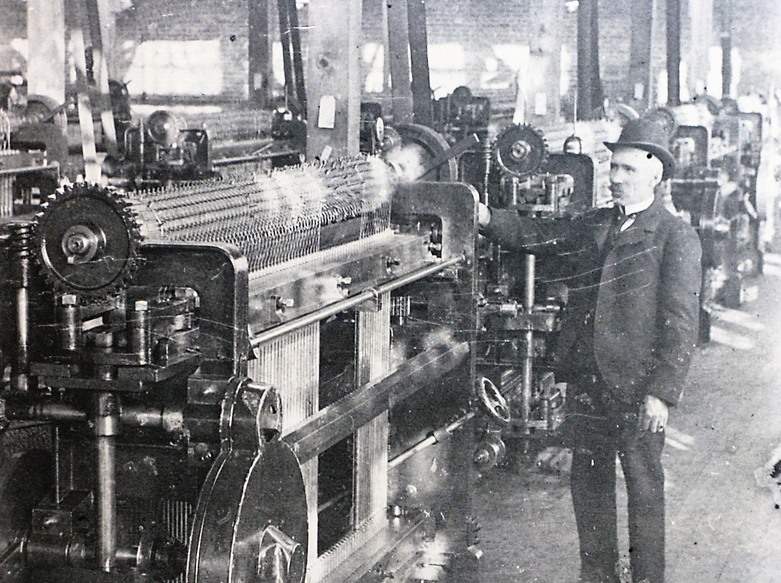 In April 1888, John Grant had his fingers mangled in the gears of a loom at the plant. Indeed, Chester’s factory workers encountered low pay and high risk, but their hard work made rural America thrive.